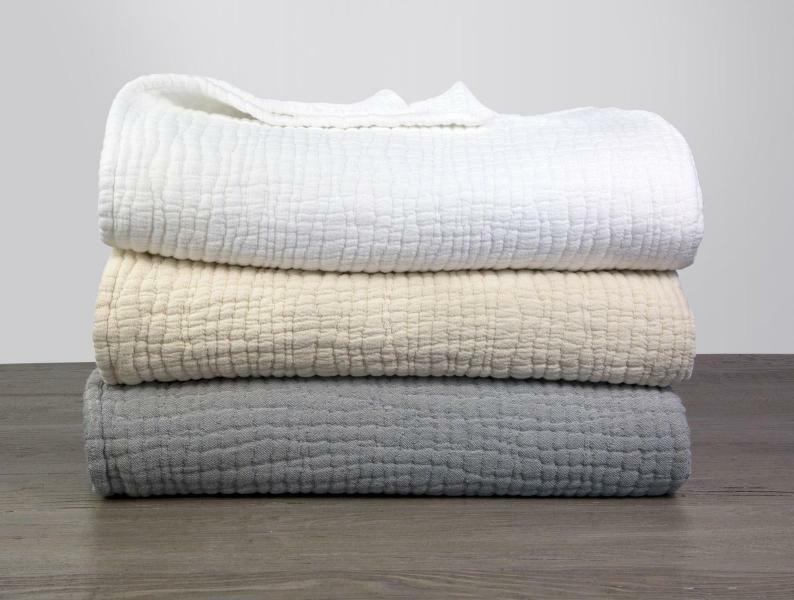 Cozy, comforting and easy to care for, this will quickly become the go-to blanket for everything from strolls through the park to tummy time at home. We washed the cotton matelassé to give it a soft, crinkled texture. Cotton is 100% organic, and made in Portugal. 30" x 40"